Rocket Matter Knowledge Base TasksHow to add a task. 1. 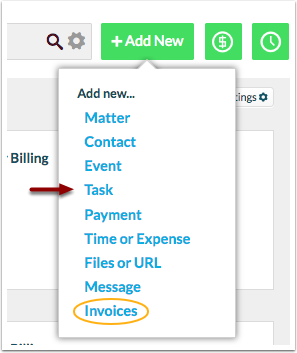 From any page within Rocket Matter, click the 'Add New' button and select 'Task'. 2. 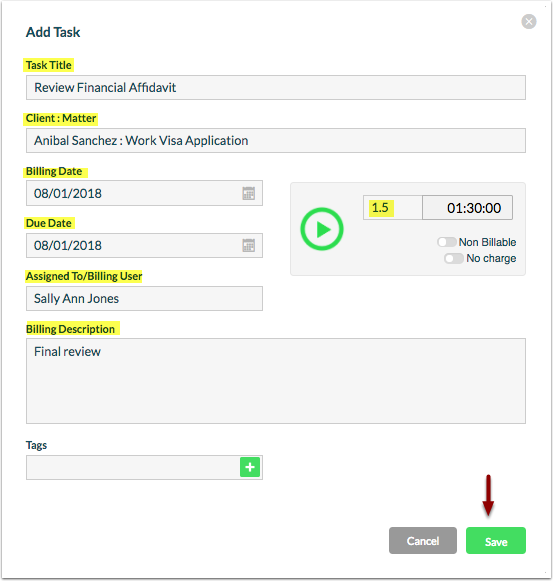 Enter the Task Title, Client:Matter, Billing Date, Due Date (if applicable), Billing User, Billing Description and actual time billed. Click 'Save' once all data is entered. Prev: What is a task used for? Next: How to modify a task.